Hearthstone Heating and Air Conditoning, Ltd.
With the time change, change your batteries! This fall when we change our clocks back an hour for daylight savings time, we remind you to also change your batteries in your thermostat and smoke detectors. It is always a good idea to change batteries when the time changes. That way you can be sure that going into heating season your thermostat will have fresh new full charged batteries. And that any battery operated appliance such as your smoke detectors are working properly. Also as a reminder, have you had your furnace's annual clean and check done yet? If not, you should give us a call to get on the schedule. Maintaining your equipment will help extend the life of the machines, increase efficiency and will also keep any warranties you have in effect. Have you changed your furnace filter lately? How about your humidifier filter? Humidifiers are notorious for building up mold and mildew when they sit for extended periods of time. Do you have an electronic air purifier or ultra violet bulbs in your home? They may need maintenance as well. Fall is the season of change. The leaves change colors, and nature prepares for the winter cold ahead. Homeowners should follow that lead and change batteries and filters and do any maintenance that is needed to insure that everything works properly for the long winter. Enjoy the season! And remember there are only 10 Sundays left until Christmas! Do you normally set your thermostat down in the winter at night to save energy? When the temperatures become extreme and we have bitter cold with below zero wind chills, it is recommended that you leave your thermostat at a higher setting overnight. Furnaces will have a hard time bringing a chilly house up to the daytime temperature when the weather is so cold. Depending on your system the home may never be able to reach the desired day time thermostat setting if you set your thermostat too low at night. If you are going out of town keep your thermostat set no lower than 60 degrees for optimal operation. If your thermostat is battery operated, please change the batteries or check to make sure they are fully charged. If you are not sure how to check we would be happy to come out and take care of that for you. Furnaces are working overtime now so remember to change your filter often. A dirty or plugged filter may cause mechanical parts to fail sooner than normal. Have you had your system clean and checked this year? We can come and inspect your furnace, make sure everything is clean and working properly. Peace of mind is very valuable! And just a reminder, we have more snow in the forecast, so if you have a newer furnace that has a fresh air intake pipe that goes out the side of the house, make sure the area around that pipe is clean and free of obstruction. If that pipe becomes clogged it will cause your furnace to shut off. Deep snow is a big culprit of failed furnaces! Remember we are always here 24/7 for emergencies. We are a Comfort 24/7 Provider. Do the holidays leave you with a stuffy, itchy nose or nagging cough? It could be the dusty tree ornaments, a moldy Christmas tree skirt, the scent or the sap of your tree or green wreath garlands. It is important to keep your furnace filters changed and clean so they can work as efficiently as possible. Consider installing an electronic air cleaner or purifier. There are many options available on the market today. When it gets very cold, the air in your home can get dry and that can affect the flow of mucus through the sinuses and nose, exacerbating allergy and sinus problems. If you have a humidifier make sure the humidifier pad has been changed and the humidifier cleaned to avoid any mold build up that may have occurred as the unit was idle. Allergy hints: If you purchase a real tree and you have plant allergies, hose off the tree before bringing it in the house to clean off any pollen residue that may be on the branches. If you use an artificial tree and wreaths, make sure to vacuum them and wipe them down before putting them up to rid them of any dust mites that might be lingering. When unwrapping ornaments don a dusk mask and or have someone dust off the ornaments/boxes outside before bringing them in. After Christmas store the decorations in something other than a cardboard box, such as a large pretzel tin or plastic container to limit the dust. The holidays can be very stressful so remember to pamper yourself and doing this small things can make you more comfortable. Have a very Merry Christmas from the team at Hearthstone Heating and Air! Rest easy knowing that we will be here 24/7 during the holidays in case you need us. Seasonal Allergy Season is Here! The pollen count today is high and will probably continue to be high now until the weather changes and we have a hard frost. Any of you who suffer from seasonal allergies or has family members who suffer with allergies, know how much we dread to see this time year appear. Runny noses and eyes, with itchy eyes and sneezing and congestion. If you are one of the poor individuals with allergies you know the suffering that comes when the seasons change. Your indoor air quality of your home is very important especially during this time of year. Most doctors will recommend that you keep your windows and doors closed during the pollen season. They will also advise to run your homes air conditioner to keep the air circulating and to change your furnace filter very regularly. Today there are many options to improve indoor air quality. There are electronic air cleaners for heating and cooling systems that greatly help with allergies. Please visit the Carrier website to explore indoor air quality options that are available. Please call us to discuss pricing and installation. Changing your furnace filter is vital for the lifespan of your equipment, the efficiency of your heating and cooling, and your indoor air quality. This is a simple task when done on a schedule that will help you in the long term, for your savings in utility bills, equipment longevity, and health and air quality. The cleanliness of your furnace filter can have a direct effect on your indoor air quality. The filter is there to collect dirt and dust particles and pollutants. A dirty filter causes the equipment to work harder and allows the particles to circulate back into your home where you live and breathe. By leaving dirty filters in your furnace you are allowing dust and dirt to build up in the equipment. Excessive dust can damage components such as the heat exchanger and it can contribute to carbon monoxide build up. It is recommended to change your furnace filter every three months or sooner depending on your conditions. Dirty filters promote dusty and dirty air ducts. Static electricity creates the build up of dust and will create more resistance for your equipment to force air through. This will result in higher energy usage and ultimately higher utility bills. Be Proactive! Make a note on your calender every three months to change your furnace filter. If you need help with this, we will be happy to come out. If you would like information on electronic air cleaner alternatives we can help you make decisions on that as well. Just give us a call. No Heat During a Heavy Snow? When we get a heavy deep snow it can potentially cause a problem for your furnace. In many houses with newer high efficiency furnaces, the vent goes out the side of the building. If those vents become buried in deep snow they can not provide the furnace with the fresh air it needs to operate and most will automatically shut off. 1) Go to your furnace and look for a white pipe going from the furnace to the outside wall. (not the metal heating ducts). Make a note of where it goes through the wall. 2) Go outside and to where you think it should be coming out of the wall. In most homes it will stick out a few inches from the basement wall or the side of the home. Some pipes are even extended up the side of the home and will often have a curve near the end. The intake pipe is unlike the dryer vent which is usually flush with the wall. 3) Once you have found the vent pipe, remove the snow from the area. Make sure that no snow or ice or foreign objects are stuck in the pipe. If you can, clear an area about three feet around the pipe to make sure it stays clear. 4) Once the intake pipe has been cleared the furnace it will often start automatically. If not, furnace starting instructions are usually on the sticker on the side of the unit or inside the access panel. If your furnace still does not start, then give us a call and we will be happy to come out and get it working for you. Hearthstone Heating and Air Conditioning, Ltd. is here for you 24/7. Please call us for any of your indoor air needs. "Hearthstone- For the Heart of your Home". 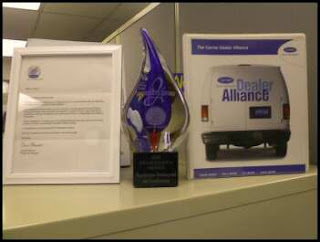 We are very proud to announce that Hearthstone Heating and Air Conditioning has been awarded the Carrier 2012 Presidents Award.